The Congress manifesto 2019's proposal to "make the Supreme Court a Constitutional Court" and "establish a Court of Appeal" between the HCs and the SC would speed up resolution of pressing Constitutional issues and ease the SC's case load, but it might involve changing parts of the basic structure of the Constitution. Under the "Sushasan" (Good governance) section of its manifesto, the Congress has made a number of promises and proposals about India's judiciary. Two, in particular, stand out because they involve amending the Constitution and will impact the way citizens secure justice. Promise 1: Congress will introduce a Bill to amend the Constitution to make the Supreme Court a Constitutional Court that will hear and decide cases involving the interpretation of the Constitution and other cases of legal significance or national importance. Promise 2: The party will introduce a Bill to amend the Constitution to establish a Court of Appeal between the High Courts and the Supreme Court, to hear appeals from judgments and orders of High Courts. The Court of Appeal will sit in multiple Benches of three judges each in six locations. To unpack the above, we need to understand how supreme courts function in most other countries, and how India's Supreme Court is different. "Most supreme courts the world over deal with very few cases -- those that require the interpretation of the Constitution. They rarely get into appeals of a civil or criminal nature. The Indian Supreme Court, on the other hand, is a strange and hybrid creature created by the Constitution. Theoretically, it can interfere with any judicial proceedings," explained Sanjay Hegde, a senior advocate designated by the Supreme Court. "Article 136 allows the SC to hear, at its discretion, an appeal against any order from any court. This includes every possible matter -- insurance claims, civil disputes, labour matters, etc," said Pranjal Kishore, a Delhi-based lawyer practicing in the Supreme Court. On the other hand, Kishore said, a Constitutional Court would only hear questions related to the interpretation of constitutional provisions. "If the Congress fulfils this promise, the Supreme Court would be able to focus on the core competence of constitutional interpretation and its bandwidth would not get consumed by other matters, unlike at present," explained Hegde. "More than 70 per cent -- a conservative estimate -- of SC cases do not involve the Constitution. If they are removed, a lot more time will be left for constitutional cases," added Kishore. At present, the Supreme Court does not fair too well in dealing with cases involving the interpretation of the Constitution. Kishore said that important, pressing Constitutional issues have often been put off, possibly due to the weight of all the other cases. He cited the case regarding Aadhaar's constitutional validity as an example. "It remained pending in the SC for years, while the scheme was expanded by the government aggressively." It was in November of 2012 that public interest litigations were filed in the SC, challenging the validity of Aadhaar. It was on September 26, 2018, that the SC upheld the constitutional validity of Aadhaar, but struck down certain provisions such as its linking with bank accounts, mobile phones and school admissions. As on April 1, 2019, there were 58,072 pending matters before the Supreme Court. The wording of the first promise also leaves ambiguity, which could defeat its purpose. Along with cases involving the interpretation of the Constitution, Congress' proposed "Constitutional Court" will also hear and decide "other cases of legal significance or national importance". Hegde explained that this would provide a leeway to the proposed Constitutional Court to "expand its jurisdiction from constitutional interpretation to more active lawmaking". Kishore described this part as "ambiguous and subjective", also adding that it was likely to be used by the court to "widen its jurisdiction". If the Congress succeeds with the first part, cases not dealing with constitutional questions -- the bulk of the Supreme Court's present day load of cases -- would go to the proposed "Court of Appeal". Hegde said that for the first promise to work, this court would then have to be the final authority in civil and criminal matters. "The SC itself is perhaps the most powerful court in the world. The powers of the Court of Appeals might be a halfway house between those of the High Courts and the SC," said Kishore. "It is not clear what the structure and powers of a court of appeal would be," he added. Kishore said that different Benches across the country would be a good idea and help citizens get better access to the judicial system. "But, as of now, it is only an idea -- one worth discussing but not one that seems implementable," he added. Hegde, however, said that he did not agree with the proposal of a court of appeal split in six Benches. "This could lead to issues of jurisdiction and consistency. Instead, we should have one national court of appeal," he said. The first promise could prove extremely difficult, if not impossible, to implement. 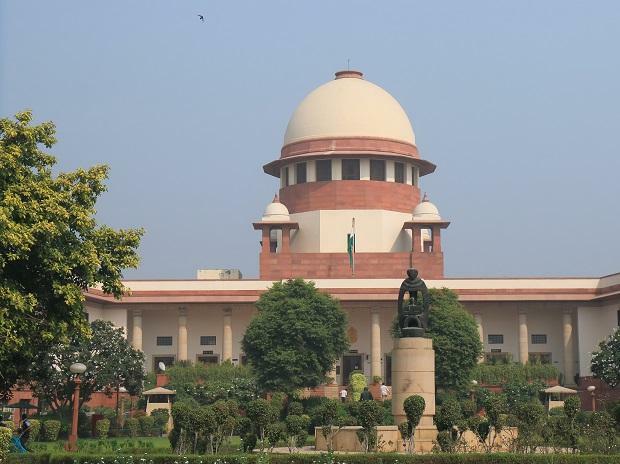 At present, if a person feels that he or she is unduly deprived of any of the fundamental rights, they can, under Article 32 of the Constitution Of India, move the Supreme Court for legal remedy. "Congress' proposal might involve taking away that right, which might not go down well with the country," explained Hegde, adding that "B R Ambedkar called this right the soul of the Constitution". Kishore said that the constitutional amendments required would face legal challenge. He also cautioned that the judiciary, in general, has remained averse to change -- such as with regard to the National Judicial Appointments Commission or the application of the Right to Information Act to courts, etc. "It is unlikely that constitutional amendments taking away most of the jurisdiction of the SC will survive judicial scrutiny," he explained. Overall, a Congress-led government at the Centre would face an uphill task in implementing them. "They don't appear achievable. They will require wholesale amendments to the Constitution, especially to Articles 136 and 32. These provisions have been held to be a part of the basic structure of the Constitution -- and therefore unamendable -- in previous judgments," Kishore said. The intent of the two proposals is not new, and has been debated in different forms for many years now. As far back as in 1984, the Tenth Law Commission of India in the 95th Report had recommended that “the Supreme Court of India should consist of two Divisions, namely (a) Constitutional Division, and (b) Legal Division". It had said its preference was that "only matters of Constitutional law may be assigned to the proposed Constitutional Division". Multiple Benches sitting across India isn't a novel idea either. In 2009, the Eighteenth Law Commission in the 229th Report had recommended that "a Constitution Bench be set up at Delhi to deal with constitutional and other allied issues", and "four Cassation Benches be set up in the Northern region at Delhi, the Southern region at Chennai/Hyderabad, the Eastern region at Kolkata and the Western region at Mumbai to deal with all appellate work arising out of the orders/judgments of the High Courts of the particular region".